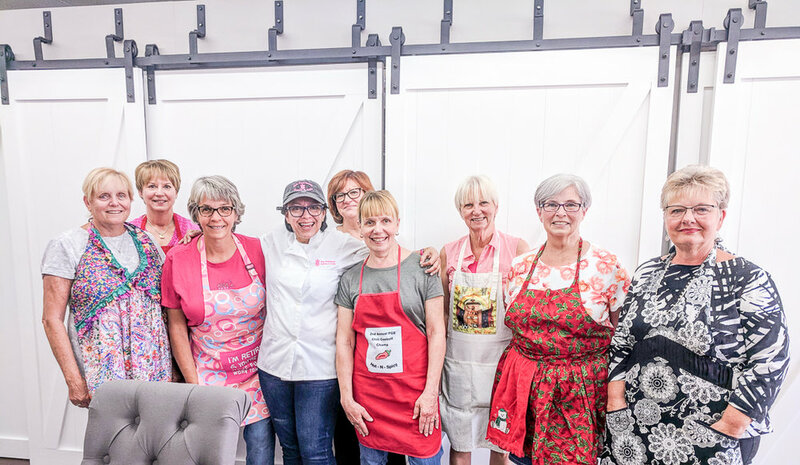 Host your Next Party at Pink Pineapple! Celebrations are a staple of this time of the year. Between Friendsgivings and Christmas festivities, New Year’s bashes, birthday parties and end-of-the-year meetings, we know that the get-togethers are seemingly unending. And, our beautiful shop provides a perfect backdrop for any and all gatherings. With our spacious table, huge white barn doors, and sweet decor, we love hosting parties of all sorts into our venue. We’ve spent the last few months welcoming Mommy + Me academies, private classes, as well as birthday parties and meetings. In doing so, we’ve mastered the concept of hosting events, including the delicious treats. Whether you are looking for the perfect place to hold an office Christmas party, or for your next holiday festivity, consider our sweet spot! Give us a call today to discuss hourly rates, catering options, and more. And, we hope your Holiday celebrations are the sweetest!